Set a course for the stars. Kepler-3042 is a board game of exploring the galaxy, colonizing new planets, and improving your technologies in order to inhabit strange new worlds. 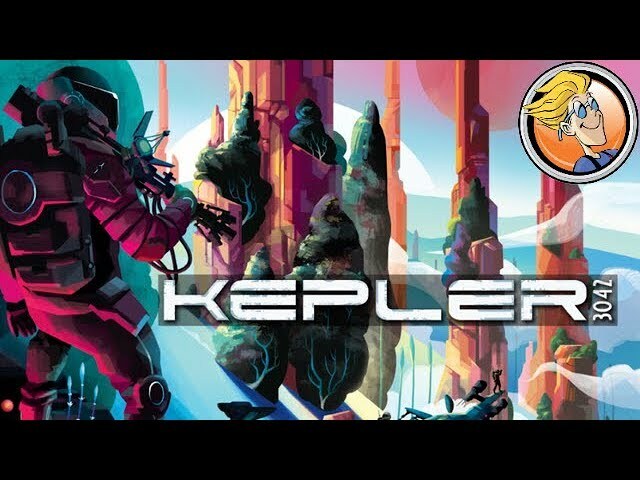 A resource management and technology development game, Kepler-3042 sends humanity out into the stars to explore, colonize, exploit, and terraform the planets of the Milky Way with amazing new tech and carefully managed supplies of matter, anti-matter, and energy. Resources can be spent permanently in order to activate powerful new strategies, making each play of this beautiful space exploration game unique and interesting. Buy Kepler-3042 for a fast-playing game of exploration and technological discovery.